First. yesterday, former Phil Roy Oswalt announced that he was officially retiring, as he signed a one-day contract with the Astros so that he could officially retire as an Astros. Oswalt, who is an fourteen-year veteran, ten of which was spent as an Astros, was a member of the Phils for part of the 2010 season and part of the 2011 season, during which he complied a winning record of 16-11. Oswalt would also play for the Rangers and the Rockies. Oswalt, during his career, would be the NL leader for ERA in 2006 with a 2.98 ERA, wins in 2004 with 20, games started with 35 games in both 2004 and 2005 and in WHIP in 2010 with a 1.03 WHIP. He was also a member of the 2005 Astros team that would win the NL pennant before losing to the White Sox in that year’s World Series, being swept by Chicago, 4-0. Overall, Oswalt had a career record of 163-102 with a 3.36 ERA as he pitched in 365 games, 341 of which were starts, as he completed 20 games, including 8 shutouts. He would pitch in 2245.1 innings, giving up 2199 hits and 897 runs, 838 of which were earned, as he struck out 1852 batters, while walking only 520. I wish you luck in your retirement, Roy. Then, the Phils announced that Comcast plans to hire both Jamie Moyer and Matt Stairs to replace Chris Wheeler and Garry Matthews inside the TV broadcast booth, starting this season during Spring Training. Congratulations, guys. Hope you both do well in the broadcast booth. Lastly, the Phils announced that they have just signed starter A.J. Burnett, who they have been pursuing during the off-season, to a one-year contract worth $16 million dollars. Burnett, who had pitched for the Pirates last year and in 2012, is coming off a 10-11 season, with a 3.30 ERA, as he pitched in 30 games, all starts, with a complete game, as he threw in 191 innings, giving up 165 hits and 79 runs, 70 of which were earned, as he struck out 209 batters, while walking only 67. Burnett, who has also pitched for the Marlins, the Blue Jays and the Yankees, being a member of the 2009 World Championship team, has a 147-132 record with a 3.99 ERA, as he appeared in 375 games, starting 370 of them, as he threw 23 complete games, 10 of which were shutouts. He threw a total of 2353.2 innings, giving up 2140 hits and 1142 runs, 1043 of which were earned, as he struck out 2180 batters, while walking only 955. Welcome to the team, A.J. Burnett’ll more than likely be the number three man in the starting rotation, after Cole Hamels starts pitching after the start of the season, as the Phils announced that Cole will miss opening day as he has developed tendinitis in his left bicep, which will keep him from throwing the ball for the next eight to ten days, and slow down his participation in spring training, although Cole has said that he should be ready to pitch at some point in April. I’m just hoping that it is only a minor setback, as the Phils will need Cole to back up Cliff Lee, if they expect to get anywhere this season. The Phils announced that they have signed veteran pitcher Rodrigo Lopez to a minor league deal. Yesterday, the Phils announced that they’d added some pitching depth as they signed veteran starter Rodrigo Lopez to a Minor League deal, while also giving him an invite to Spring Training. Lopez, who had pitched for the Phils once before, in 2009, before being sent back to the minors by the team when they added future Hall of Famer Pedro Martinez to the ballclub during the summer, last pitched for the Chicago Cubs. He appeared in four games in 2012 for the Cubbies, going 0-1 with a 5.68 ERA and a WHIP of 2.05, as he pitched for 6.1 innings, giving up 8 hits and 6 runs, four of which were earned, as he struck out only two while walking five. When he pitched for the Phils in 2009, he had a record of 3-1 with an ERA of 5.70 with a 1.77 WHIP, as he pitched in seven games, five of which were starts, as he appeared in 30 innings, giving up 42 hits and 24 runs, 19 of which were earned, as he struck out 19 batters while giving up 11 free passes. During a 11 years career, Lopez had been with the Orioles, the Padres, the Rockies and the Diamondbacks, as well as the Phils and the Cubs, compiling a record of 81-89, with a 4.82 ERA and a WHIP of 1.42. He had appeared in 257 games, 215 of which were starts, as he pitched in 1350 and two-thirds innings, giving up a total of 1506 hits and 789 runs, 742 of which were earned, as he struck out 865 batters, while walking 416. More than likely, Lopez will start the season with the Lehigh Valley Iron Pigs, but he should be available if any member of the Phils’ starting rotation gets injured during the season. The NL announce that Cliff Lee was the Pitcher of the Month for June. As expected, the National League announced that Cliff Lee was voted the National League Pitcher of the Month for the month of June. In five starts during the month, Lee went 5-0 with a 0.21 earned run average, as he gave up just an earned run in 42 innings pitched, including three consecutive complete game shutouts, as he also struck out 29 batters. Congratulations, Cliff. Now let see if you have a better than normal month of July. The Phils signed Jason Grilli to a Minor League Contract. Yesterday, the Phils signed veteran right-hander Jason Grilli to a Minor League Contract. Grilli, in eight major league seasons, had an 18-18 record with a 4.74 ERA in 223 appearances. He has last thrown a pitch in the Majors in 2009, when he pitched for the Colorado Rockies and the Texas Rangers, with a combine record of 2-3 with an ERA of 5.32 in 52 appearances. Grilli did not pitch last year because of a knee injury. Grilli will appear in the Phils’ minor league camp in Clearwater, and will likely start the season pitching for the Lehigh Valley Iron Pigs. Since the last time I’d written something here, the Phils have come to terms with both Ben Francisco (January 15) for one year for $1.175 million dollars with performance bonuses and with Kyle Kendrick (January 18) for $2.45 million, also for one year, to avoid arbitration with both players, thus having all of their players signed up for at least one season. Last season, 2010, in 88 games (28 of which were starts), Francisco batted .268 (48 for 179), as he hit thirteen doubles and six home runs and knocked in 28 RBIs. He also went .282 pinch hitting (11-39), hitting three doubles and knocking in 7 RBIs. This season, Francisco will be used in a platoon with Dom Brown in right field to replace Jayson Werth, who had during the off-season signed a long term contract with the Washington Nationals. Meanwhile, Kendrick last season pitched in 33 games (a career-high), 31 of which were starts, as he went 11-10 with an ERA of 4.73, as he pitched in 180.2 innings and struck out 84 batters (both career highs) while walking 49, who, depending on what the team might do, will either be their long man coming out of the bullpen, or fighting for the fifth starter spot with Vance Worley. As the Phils prepare for the start of spring training next month in Clearwater, Florida, they are looking at their options, thanks to their present embarrassment of riches with their starting pitching staff, which at the moment consists of Roy Halladay (Ace), Cliff Lee, Cole Hamels, Roy Oswalt (who at the moment are being nicknamed either the Four Aces, R2C2 or the Fantastic Four by the fans) and Joe Blanton, as they decide whether they really need to trade Kentucky Joe to another team that needs a good starter to help give them some salary flexibility, or to just keep Joe, and use him as their fifth starter, knowing that he so far have had a good track record pitching for the Phils during the two plus seasons since they’d gotten him from the Oakland A’s to help them down the stretch towards their 2008 World Series Championship. My opinion is that they should hang onto Blanton, unless he brings in a good righthanded bat that’ll help the team in the line-up. Either way, he would be helping the team, especially as the fifth starter, since he is presently seen as a good third or fourth starter on most teams. 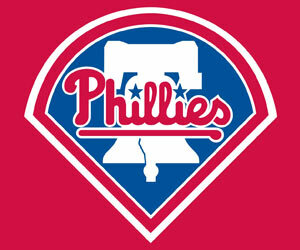 Lastly, Charlie Manuel’s contract is coming up this season. Although it is more than likely that the Phils will give him an extension, Charlie had announced on WIP radio yesterday, when asked about it, that he would like a three year contract, and prefer that he signed the contract extension as soon as possible so that it won’t become a distraction for the ballclub during the season, although he does see himself as signing a contract at some point this season. Me, sign him up as soon as possible Ruben. Uncle Chuck seems to know what he’s doing with the players, and we all know that they like playing for him.